The Astronomical Society of Greater Hartford is a non-profit incorporated organization of amateur astronomers. 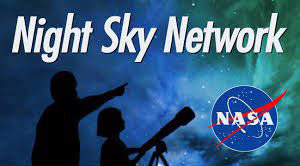 Our members have interests in all aspects of amateur sky observing including, but not limited to: astro-imaging, telescope making, deep-sky, solar, planetary, lunar & occultation observing, and cosmology. We host several public-outreach observing events at various locations during the year as well as monthly events at Wesleyan’s Van Vleck Observatory. We also organize star parties for our members and guests at dark sky observing sites. The ASGH has been a Special Award sponsor at the Connecticut State Science Fair since 1992. We meet at the Copernican Space Science Center Planetarium which is on the campus of Central Connecticut State University in New Britain, Connecticut. Meetings are held on the third Wednesday of the month from September through May and include a lecture of interest to amateur astronomers. These lectures are given by members, regional astronomy faculty, graduate students, and other invited guests. Feel free to call one of the Club Officers for meeting details and general information. Membership information can be found on our Membership page.